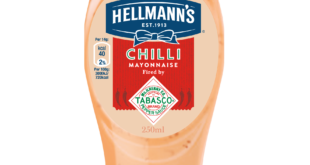 The partnership follows reports of mayonnaise sales outpacing those of ketchup for the first time in the UK. 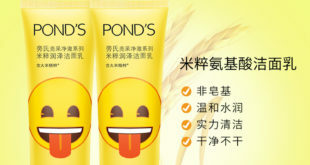 Hearted-eyes, the naughty tongue and the cool face with sunglasses will each star in their own selection of Pond’s creams, a brand that has been around since 1846. 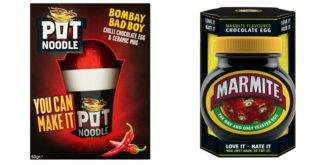 The Pot Noodle egg features chilli flavoured chocolate, while the Marmite version boasts Marmite tasting chocolate. Chupa Chups Calippo Shots will arrive in spring 2016. Unilever UK and Kinnerton Confectionery have teamed up to launch a new range of premium chocolate. Selection of bath accessories to launch from spring 2014. Kinnerton to roll out new lines based on ice cream favourites Magnum, Mini Milk and Cornetto.